Jessica Oakley, formerly a homebuilder in Charlotte, has moved to Kansas City and established a new business as a green building consultant. 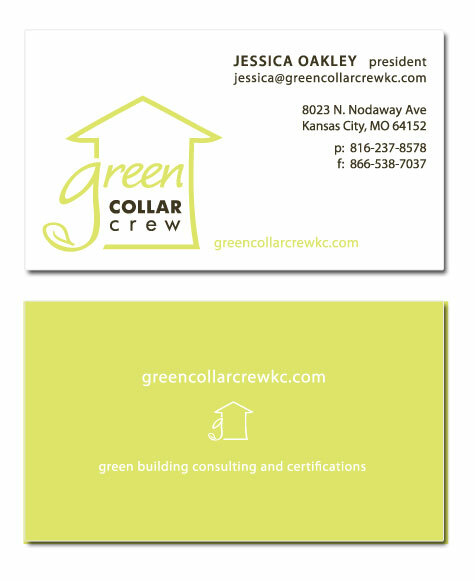 I designed this logo and business card for her new venture: Green Collar Crew. Best of luck to Jess in Kansas City!